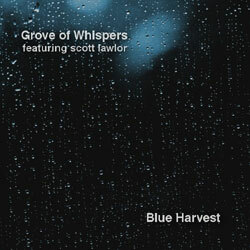 “Blue Harvest was performed live on stillstream.com August 11 and 13, 2013. Done using midi controller, Linux and personal field recordings. Music fashioned using the buddhalizer –a virtual extension of the imagination. Some drones were provided by Scott Lawlor, the host of “The Blind Flight”, an ambient music podcast heard on stillstream.com each Friday night. Thank you Scott. “Cover adapted from a photograph taken by Michael Coppola.